The Ultra Adventure wins our Editors' Choice for being the highest performing, most versatile hat of the bunch. The Sunday Afternoons Ultra Adventure is the highest performing hat for high output sunny activities and wins our Editors' Choice Award. We were pleasantly surprised by how protective and versatile this competitor is. We took it on many outdoor excursions, including backpacking and boating tips, and it kept us cool and comfortable the entire time. It's lightweight, quick drying materials are a step up from the Sunday Afternoons Adventure Hat and it is much more durable and packable than that model as well. It has a great combination of sun protection and breathability in a somewhat less dorky package than the other cape style hats we tested. The Ultra Adventure's features and lightweight materials outpace its big brother the Adventure Hat and is a more comfortable and durable version of it. We gave the Ultra Adventure top marks in all categories. It beats out both the Sun Runner and Adventure Hat, though performance is close. It loses points in the style department, but sometimes testing shows that style has to be sacrificed for function. The Sunday Afternoons Ultra Adventure looking out from Kearsarge Pass in the High Sierra. All the cape style hats in this review scored highest in this department, as their coverage from the sun cannot be matched. The Ultra Adventure has UPF 50+ material, a wide 3.5" brim that wraps around the sides of your head, and a long 6-inch neck cape for ideal back of the neck coverage. The Ultra Adventure's dimensions do not quite stack up to the Sunday Afternoons Adventure Hat and Outdoor Research Sun Runner but is an exceptional compromise between weight and comfort, along with excellent coverage. Sunday Afternoons likes to point out that "The sun hat that works best is the one you'll wear." And we will wear this! There is potential for the cape to blow up in the wind, but we did not find this a detriment. There is also a chin cord to tighten, so it stays put on your head in high winds. The Sunday Afternoons Ultra Adventure is great for boating too! The Ultra Adventure has added features for performance and protection. This award winner has a "sunglass lock" feature; this means you can put your sunnies on and know they will not fall off if you bend over to fill your water bottle. This lock ensures your eye protection will remain in place. The Ultra Adventure's neck cape can blow up in the wind, but we didn't find this a significant problem. It also has a darker colored under brim material to help reduce glare when you're traveling over reflective surfaces like water or snow, which means it's an excellent option for paddling or glacier travel. Another exceptional boating hat is the Outdoor Research Sombriolet. The Sunday Afternoons Ultra Adventure keeps us protected, cool and dry on the hike up big passes. This award-winner scored high marks for comfort and is the most comfortable of the cape style bunch. For the majority of the time, its lightweight materials make you forget you're wearing it. The Ultra Adventure has unrivaled breathability and ventilation, as we'll discuss below. We prefer the webbing cinch system the Ultra uses over the toggle tightening system of the Outdoor Research Sun Bucket and Sombriolet and found it offers a higher level of comfort. At times, the former's brim style dug into our head when we tightened the toggle down. The Ultra Adventure is lighter than the Adventure Hat and more comfortable because its sweatband goes all the way around our head. Along with the Ultra Adventure, theSun Bucket scored well in the comfort department, thanks to its lightweight and simple design. We like the Ultra Adventure's webbing style cinch and is comfortable than others we tested. One of the more breathable in this review, our Editors' Choice model has mesh panels on its crown, and the nature of its light nylon/polyester materials are inherently breathable. The Ultra Adventure's tapered cape style allows for better airflow around the neck than the sometimes claustrophobic Sun Runner. The Adventure Hat has large mesh panels as well, but its materials are more substantial and inherently less breathable. The Tilley LTM6 Airflo and the Sombriolet are full brim style hats with excellent ventilation. The Ultra Adventure has great coverage and is perfect in sunny exposed desert landscapes. The Ultra Adventure has a sweatband that goes around your whole head and wicks sweat away, keeping your head cool. The Adventure Hat's sweatband is only a small piece that covers the forehead area. This detracts from the cooling effect as well as comfort. The Ultra Adventure's sunglass lock is a great added feature. Durability is where the Ultra Adventure pulls away from the Adventure Hat. Disappointingly, you can only pack the Adventure Hat flat in your luggage which is hard to do when backpacking. Sunday Afternoons has remedied this with the Ultra by creating the "Reverse Clamshell Brim" that you fold in half upwards, enabling you to stuff this hat in your pack. It proved to be a decent feature for backpacking and traveling. The Ultra Adventure did well in our crush tests, thanks to this feature. We did notice creases in the brim when accidentally folding it in other locations, but the brim does eventually bounce back. The most durable and packable hats we tested were the Sun Bucket and the Tilley LTM6 Airflo. We folded the Ultra's brim up in half and the half again for our crush test. The second crease took a while longer to disappear, but it did. This hat is the great compromise between style and function - although it leans more towards the function end. The Ultra Adventure is not quite as dorky or embarrassing to wear as the other cape style models, such as the Sun Runner and Ultra Adventure. However, we would not go so far to call it stylish. You still need to rock this hat and not worry about what you look like on the trail. If you're looking for a less technical and more stylish sun hat, we'd go for the North Face Horizon Brimmer or the Tilley LTM6 Airflo. The Sunday Afternoons Ultra Adventure is not the most stylish hat out there, but is understated enough to fly under the radar. We love this hat for long backpack trips, and we had it out in the backcountry for a six-day trip in the sunny Sierra. It is lightweight, comfortable, super protective and best of all, it kept us cool out there. We like that it can stow away in our pack easily when we want it to, but we almost never took it off. This award winner is our first choice for any active, sunny activity, from paddling to hiking. Ultra runners and hikers will love this model and barely notice they're wearing it. We would choose this hat over any other unless we were going for style over function. The Sunday Afternoons Ultra Adventure is great for backpacking as the cape style will not knock into your pack. 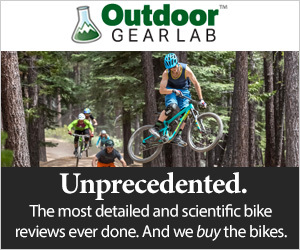 At $42, the Ultra Adventure is a great value. If you're looking for the most protective hat you can buy for your money, check out our Best Buy Award winner, the OR Sun Runner Cap. This hat is much more durable than the Adventure Hat and way less expensive than the Tilley model that retails for $90. We think the Ultra Adventure is worth every penny. The Sunday Afternoons Ultra Adventure is a great choice for alpine day hikes, but not great for going under a climbing helmet. If you're ready for an ultra adventure, reach for this hat. We've awarded it our Editors' Choice Award because it is so incredibly versatile. We love how light and breathable the fabrics are, and it is highly protective from the sun. It is our ideal choice for backpacking because its cape style will not hit the back of your pack annoyingly, and its brim can be folded to stow away when needed. The wicking sweatband helps keep your head cool during high output activities like hiking and running. What it loses in style points it makes up for in every other category we measured it in. We highly recommend this hat - so much so that it wins the best overall sun hat.